Editor's note: Vote in our interactive polls, review key races and use our interactive map to make informed decisions on election day. District typically votes: Democrat, though Republican Melissa Bean held the seat 2005-11. Noteworthy: This is considered to be one of the most hotly contested of the congressional seats in the Chicago area. Walsh took over the seat in the redistricting in 2011. Duckworth previously ran for the 6th district seat in 2006 but narrowly lost to Peter Roskam. Duckworth, who has worked with President Obama's campaign, is a former U.S. Army helicopter pilot who served in Iraq. She suffered combat injuries that cost her both legs and damaged her right arm. Noteworthy: Jackson spent part of the summer at a treatment facility for a reported "mood disorder," and was later moved to the Mayo Clinic to treat a gastrointestinal disorder. Jackson Jr.'s silence during the ordea has many in his district wondering about his candidacy. Additional coverage: USA Today: Jackson's move to Mayo Clinic may signal complications. Campaign issues: Job creation was a big topic during the primaries and is expected to be again. Rush supports Obama's America Jobs Act that would create shovel-ready jobs. Peloquin, the mayor of Blue Island since 1985, supports the private sector creating jobs, not government. Health care and the federal deficit are other hot-button issues for the district. District typically votes: Democrat. The last Republican to hold the seat was Oscar De Priest from 1929-35. Noteworthy: Rush has held this seat since 1992 and is heavily favored to win. Campaign issues: Economy and health care. Noteworthy: Schakowsky has held the seat since 1998 and is heavily favored to win. Campaign issues: Economy, health care. District typically votes: Democrat, although incumbent (Dold) is Republican. Noteworthy: Illinois’' 10th District has been included in the Democratic Congressional Campaign Committee's "Red to Blue List," which identifies districts that the organization has specifically targeted to flip from Republican to Democratic control. The campaigns have been very aggressive in the final weeks, with both sides launch TV attack ads. District typically votes: Democrat, although incumbent (Biggert) is a Republican. Noteworthy: The race for Illinois' 11th District House seat is considered to be a stalemate both in poll numbers and in fundraising. This is another highly competitive race, with both sides launching negative attack ads. Note: Davis won the Democratic primary and the Republican party fielded no candidate. The district covers downtown Chicago, the Near North Side, parts of the South and West sides. 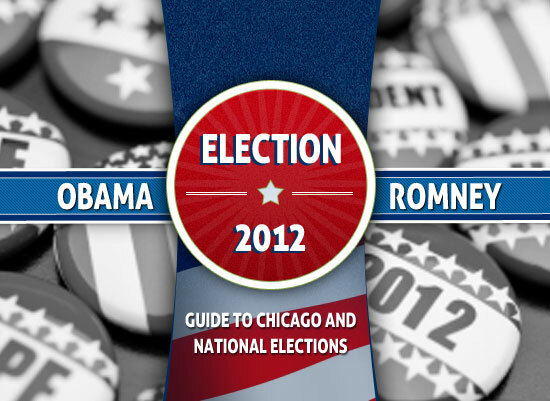 Sources for this page: Chicago Tribune, Chicago City Clerk's Office, The Journalist's Toolbox, Ballotpedia and candidate websites.